Please join us. All proceeds benefit BCBF. 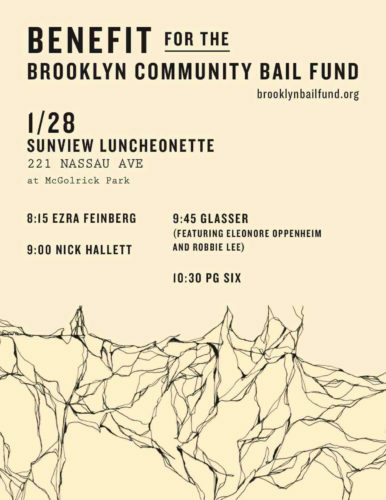 The Fund partners with every public defender agency in Brooklyn, Manhattan and Staten Island. We also work with reentry specialists and social service providers to connect clients in need with resources in the areas of employment, education, housing and counseling. We work with allies here in New York and across the country in the fight to end cash bail. Ours is a radical intervention in a system that treats people differently based on wealth, skin color and influence. We’re challenging the criminalization of race and poverty, the practice of putting a price on fundamental rights, and the persistent myth that bail is a necessary element of the justice system.